Here's our latest cover. Isn't it amazing? We want to thank Chaz Bourland, the talented graphic artist who designed the cover and suggested the title of our new novel. 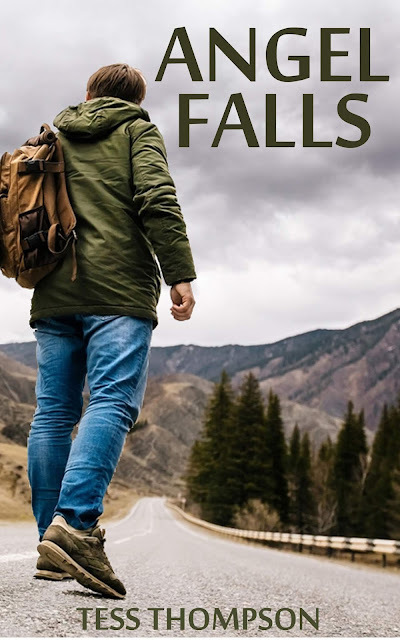 Angel Falls is available for pre-order now. The publication date is May 1st. Here's the trailer if you want to take a look. When an Angel Whispers is Book 1 in a trilogy featuring Chance O'Brien. It was FREE on Amazon.com in the Kindle Store for 3 days in April and over 3500 people downloaded it. If you haven't read it, we invite you to give it a try. It is one of our most popular novels. The other two novels in the series are Student Body and The Devil Makes the Rules. In a terrifying romantic thriller from Tess Thompson, a young FBI agent is forced to relive her greatest fear. Macy Adams, a beautiful law student, is abducted and assaulted by a vicious serial killer known as the Bayou Butcher. She escapes with the help of a guardian angel and Houston Police Detective Chance O’Brien. After fleeing her captor, she begins to build a new life but is plunged back into his murderous grasp by circumstances beyond her control. More women are murdered, and only Macy can help the FBI catch the Butcher before he kills again. What they don’t know is that this time he is out for revenge and is pulling Macy into his carefully planned trap. Our readers loved the characters in When an Angel Whispers and wanted to know more about Chance O'Brien's grandparents. At the end of When an Angel Whispers is a link to sign up for our newsletter to get your copy of The Dancer and the Cop. It's a FREE vignette describing Vilma's (Babushka's) and Paddy's love story. 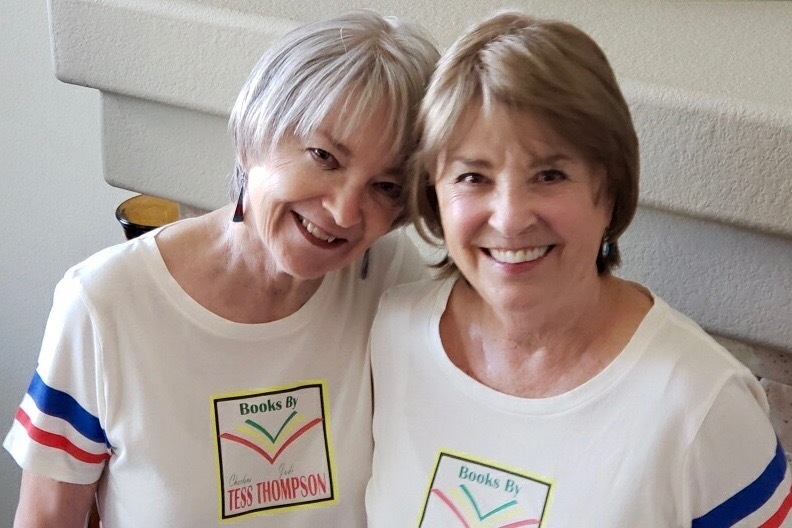 Judi Thompson wrote it, and it's delightful! 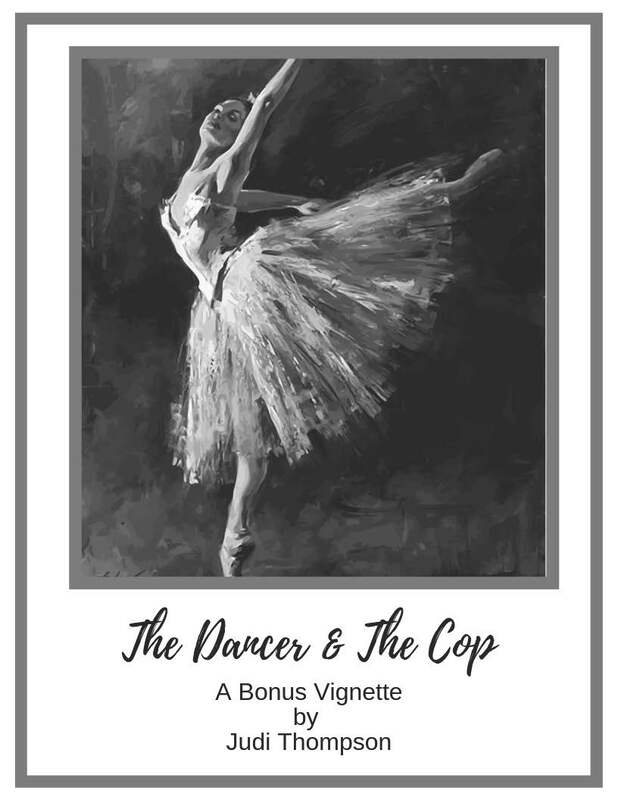 NOTE: If you previously purchased When an Angel Whispers or you are already subscribed to our email list, please email us for the link to The Dancer and the Cop. <novelsbytessthompson@gmail.com>. If you have read When an Angel Whispers, please consider leaving us a review. We need a substantial number of reviews so that we can enter contests and advertise on certain book websites. Reviews do not have to be long and involved. You don’t have to give a synopsis of the plot. Just a few brief sentences in which you describe your honest opinion of the book. If you wish to write a review, here’s the link to take you to the book review page on Amazon. We are excited to announce that Stolen Laughter will be on sale for only $2.99 for three days in the Kindle Store. If you haven't read this book yet, we hope you will give it a try. Then, if you want to follow the characters, you can read the sequel, Terminal Identity. Our readers are telling us they love the characters in these books that include Bryce Cameron and his brother Quinn, and the women who love them. Hannah Brody and Dixie Lee King are as different as two women can be. Hannah is a psychologist, and Dixie is a waitress in a diner, but they lost their hearts to the Cameron brothers who are from a wealthy family in Atlanta. 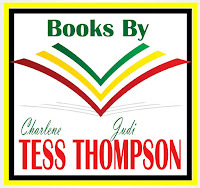 "Fascinating, intriguing, and absolutely an excellent read is the romantic mystery, Stolen Laughter by Tess Thompson. Starting with the prologue, the characters are believable and invite the reader to become invested in their lives. One of the many things that I like about the Tess Thompson style of writing is their ability to give the reader the amount of information needed to form a mind's eye picture, but not so much that the reader gets bored with minutia. Sometimes the reader doesn't realize that what seems unimportant to the storyline is really expertly and intricately woven into the plot. For me, guessing the direction that the novel will take is part of the fun of reading a novel, and I love to be right, but in this case, I was totally surprised, which a good thing. This book is truly filled with unexpected twists and turns. Although sequels are not something that I think about or hope for, but in this case, I would love to see a sequel because Juliette intrigues me." Be sure to get your copy while it is on sale. Here's a Peek at Our Reviews and an Excerpt from Terminal Identity. “This is the first book I have read in this genre and I loved it. The next two are on my to read list. This is a page turner you won't want to put down until you figure out who is doing it and even then, you won't believe it. So well written page turning gripping suspense thriller. Loved it. Highly recommend. Can't wait to read the next one in this series.” G. S.
"I voluntarily read an arc of this book for an honest review. This was very well written. The characters are amazing and I loved the psychic twist to the story. I was a little surprised by the multiple storylines until the end where it made sense and actually added to the story. The serial killer aspect of the story was really creepy and everything you’d imagine and the chemistry between not just the main characters but the peripheral characters was very good. I really enjoyed this book and didn’t want it to end. I saw where there’s two sequels and I’m going read them. I need to know more about these amazing characters." -- L. P.
“Wow what a rollercoaster ride. Twists and turns abound. This is a great read, mystery, intrigue, it pulls at your heart strings and keeps you on the edge of your seat. I recommend it to all.” --C.R. “A suspense filled mystery with a lovely romance between 2 beautiful characters. Lots of twists and turns. I thought that I knew which direction the story was headed and then it would change. Kept my interest from the first page to the last. Couldn't wait to see how it ended! !” --L.P.
“I could not put the story down. Lots of surprises and suspense, without the same old love story or mystery like so many other books available. Absolutely enjoyed this tale!” --J.T. Terminal Identity, the sequel to Stolen Laughter is available now in the Kindle store. In Terminal Identity, the stand-alone sequel to Stolen Laugher, Juliette Dreschler awakens to a startling reality. She is only a shell of the woman she used to be after a life-altering accident left her both physically and mentally changed and now someone has marked her for death. Lenny Raines has been hired to keep the young, fragile woman safe and to determine who and why someone wants to harm her. Lenny isn’t your average hero and has scars of his own from a troubled and dangerous past. He is intrigued by Juliette’s stubborn determination and admires her courage in the face of danger. Lenny tries to push aside the growing intense feelings he has for Juliette, because the last time he became involved it almost cost him everything. As a killer emerges from the shadows, Lenny must risk everything to protect the woman he loves. We are working on our next romantic suspense novel with an entirely new cast of characters. We hope you will love them as much as we do. It will be published in the fall of 2019. Happy New Year! We really appreciate you. All of our novels are available here.